The sound of two F/A-18F Super Hornet’s completing a low pass at 1200 kilometres per hour and with full-afterburners, is unlike anything I have ever heard in my life. At first, all seems calm enough as the fighters approach, appearing only as silent smears on the horizon to my left. A few seconds later though, and two grey blurs scream past directly above, bringing with them a deafening roar that causes onlookers to quickly stuff their fingers into their ears. The sound thumps hard on your chest too, and shoots more adrenaline through the body than should be possible while standing still. Huge explosions and fire plumes trigger simultaneously from the ground in front, signalling the complete transformation of Melbourne’s otherwise sleepy Avalon Airport into a platform for the grandest display of military capability and aeronautical innovation anywhere in the southern hemisphere. 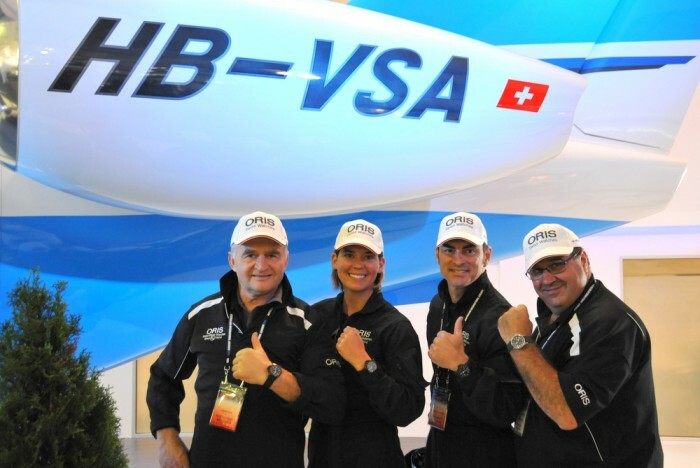 Beside me, Oris Australia’s General Manager, Peter Borghouts, is beaming – so proud of course, because Oris is the official watch sponsor of this year’s Avalon International Airshow, now in its twelfth year. 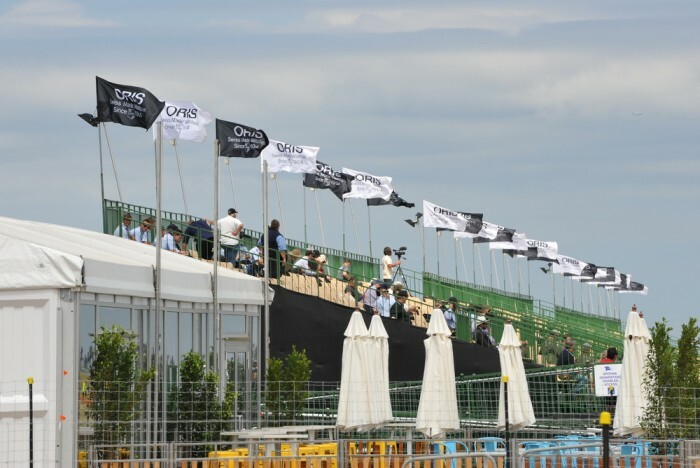 The fit is perfect, both inside the trade hall where aviation enthusiasts and professionals alike discover the Oris Big Crown ProPilot collection, and outside on the runway, where the “Oris Immortals” are the undisputed highlight of the three day air-spectacular. 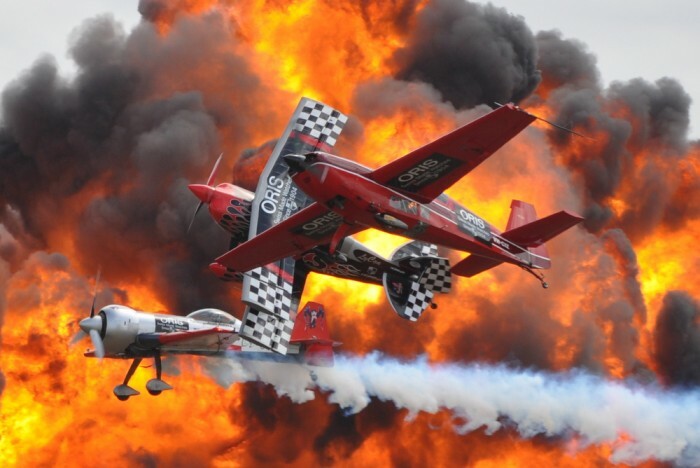 The world-famous “Immortals” are led by legendary Lithuanian aerobatic pilot and aeronautical engineer, Jurgis Kairys, who along with the American duo of Skip Stewart and Melissa Pemberton, perform incredibly precise and equally awe-inspiring aerobatic manoeuvres, often just meters from the ground, and from each other. 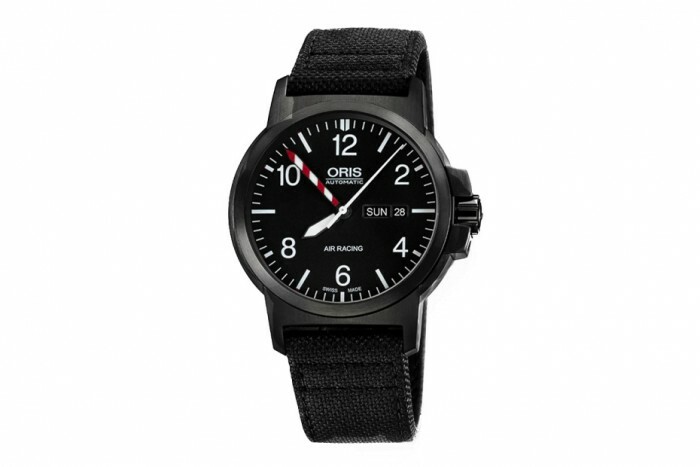 On their wrists; the Oris Air Racing Limited Edition III. 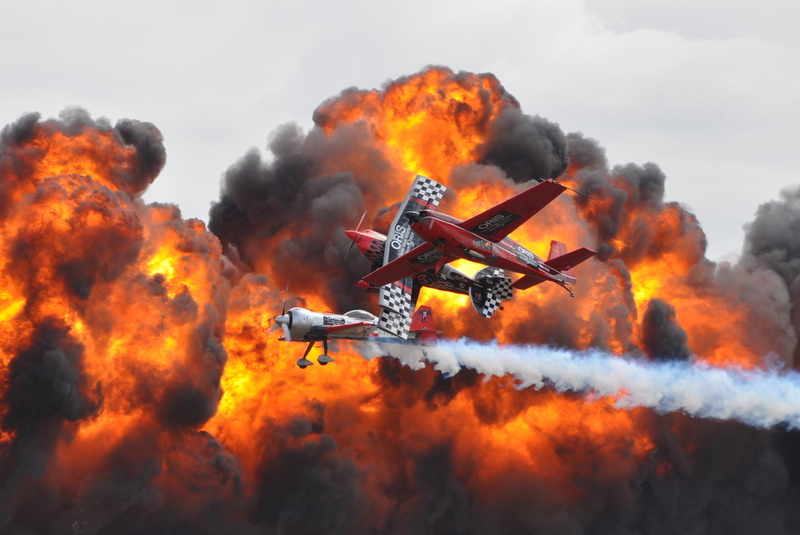 Before he wowed the crowds from the sky, I met Skip Stewart at the Oris booth, and asked him about the process of designing and choreographing a new aerobatic routine. Although much of the explanation felt like a foreign language to me (“balancing out power positive up moves and power negative loss moves”) he was able to leave me absolutely, unmistakably, and perfectly certain of one thing: timing is everything.